This last category of support enables ICS to enhance certain of its programs and activities and also offset the costs of what have become ICS traditions: the annual Thanksgiving Turkey Fund and the annual ICS Christmas Holiday Toy Drive. Please consider contributing to ICS by clicking on the PayPal button below. Thank you for helping ICS continue its mission of service. Vallerie M. Matos is currently the Unit Director of Inwood Community Services’ middle school program at MS 366: Washington Heights Academy. She has a Bachelor’s of Science degree in Communicative Sciences and Disorders from New York University, and will soon earn a Master’s of Arts in Literatures, Language & Criticism. 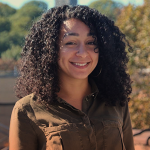 With nine years of experience in youth development, Vallerie Matos was employed as a site director for the Beacon Center for Arts and Leadership for close to one year before working with ICS. © Inwood Community Services, Inc., a 501 (c)(3) not-for-profit organization. All rights reserved.